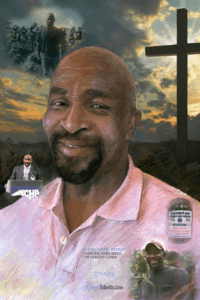 The son of a sharecropper, Reverend Richard Joyner was born in Bethel. Determined not to be a farmer, Richard joined the US Army , then served in the National Guard. He attended Shaw University in Raleigh where he earned his divinity degree, accepting a higher calling. Over twenty years ago he returned to eastern North Carolina to work at Nash General as the community chaplain. In 2001, just fifteen years ago, he became the pastor at Conetoe Missionary Baptist church, just a few miles north of his home town of Bethel. He knew that environment of farmers, many in poor health so he began serving their spiritual needs as pastor but also began to look at improving the community and lifestyles of his parishioners. In 2005, after presiding over too many funerals in his congregation, Rev. Joyner established the Family Life Center and taught young people to plant and harvest vegetables. Today they operate 15 plots covering several acres along with greenhouses and beehives. They sell the produce to area grocery stores, at farmer’s markets and other venues including Ace Hardware and Piggly Wiggly. The proceeds from these community gardens go into scholarships for the students. Rev. Joyner also has programs about healthy eating habits and good nutrition. The church members have loss weight and are exercising more so that the congregation has seen a decrease in health risks by 50%, while the students are showing an 80 % graduation rate, up from only 50% in years past. His church and the Family Life Center has been a model that is now followed by over two dozen churches in four counties in the state. Reverend Richard Joyner was recognized for his dedication to his community in 2014 with the Encore Purpose Prize. In 2015, CNN recognized him as a national hero for his leadership in promoting healthy living. 2019 Inductee Nominations Now Open!